The Cavalier Years was a Comic Relief special aired in 1988 after the conclusion of Blackadder the Third. The special features a tense moment in history for the Cavaliers as their monarch, Charles I, faces execution. In this podcast Gerry and Iain consider honour, valour and finding original ways to enter employment. The special featured series regulars Rowan Atkinson and Tony Robinson, along with Stephen Fry and Warren Clarke who are both well known to Blackadder fans at this stage. 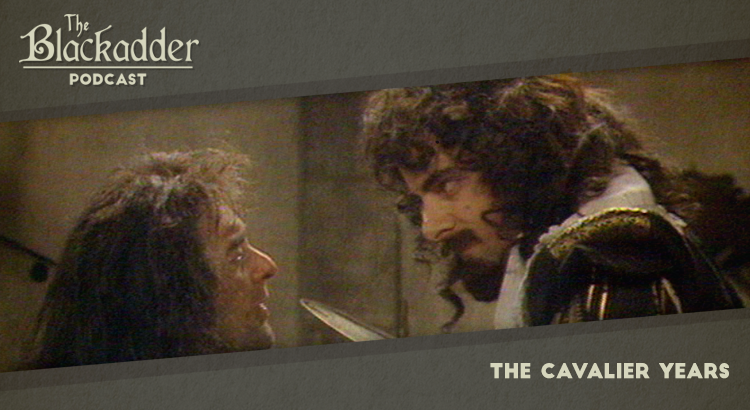 Blackadder: The Cavalier Years was written by Ben Elton and by Richard Curtis and directed by Mandie Fletcher. John Lloyd produced the special and Howard Goodall was again responsible for the music. The Cavalier Years was released in 1987. It is 15 minutes long and originally aired on the BBC. Blackadder: The Cavalier Years is sadly not available on Netflix, but a remastered set of the whole series is available on DVD around the world (Region 1) (Region 2).